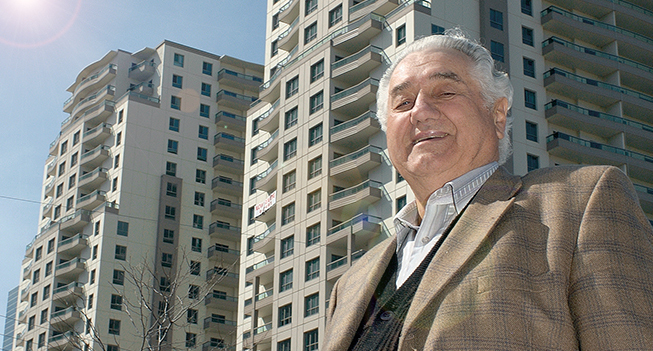 Eugen Drewlo provided homes to thousands of Ontarians since 1958. We are deeply saddened to announce that Eugen Drewlo passed away on Friday, March 30. Behind all of Drewlo Holdings' achievements was Eugen's vision and drive. Since founding the company in 1958, Eugen constructed numerous landmarks across Southwestern Ontario and provided homes to thousands of residents, but Eugen's greatest love was his family. He is survived by his son, Allan. Our hearts go out to the Drewlo family and to all who have been touched by his extraordinary life. Words cannot express our sadness at Eugen's death or our appreciation for the opportunity to work with him. We will honour Eugen's memory by dedicating ourselves to continuing the work he loved.